Darkness falls for the last time on The Shallow Grave in Winter Haven Florida 2017. 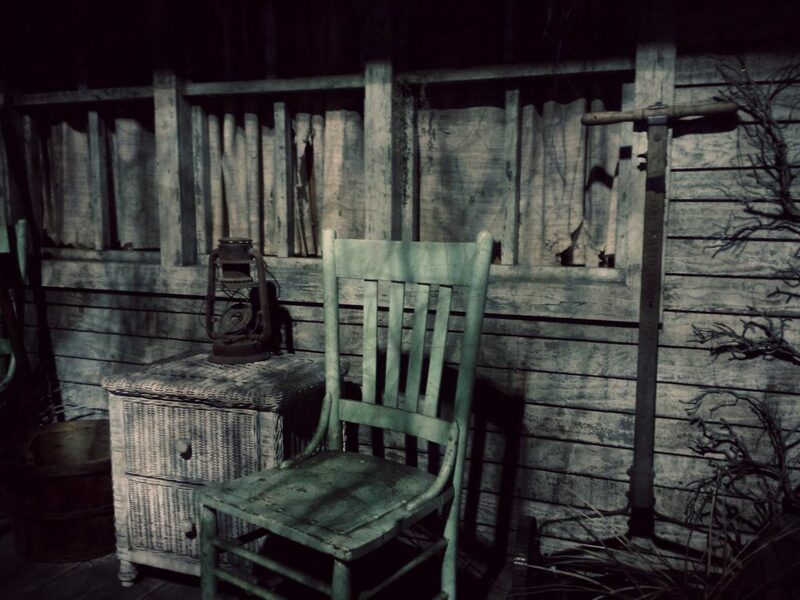 The Shallow Grave in Winter Haven has been touted as one of the country’s top rated haunted house attractions. 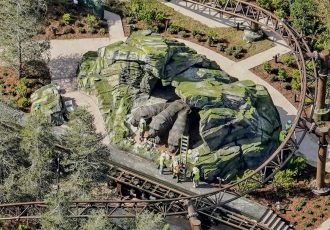 Its creative use of movie quality sets and in your face scares rival that of the area’s bigger players like Universal’s Halloween Horror Nights and Busch Gardens’ Howl-O-Scream. The Shallow Grave was never afraid to be gritty and completely original when everything else is based on something else. 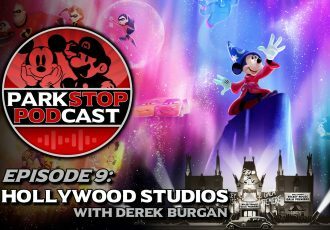 Their scary characters follow you for long periods of time, sometimes they might grab at you, and they pretty much do whatever is necessary to scare the living daylights out of you. And unlike other haunted houses, groups of no more than 6 are allowed to enter at a time. This only serves to feed the insanity. The Shallow Grave is one of the last honest, local, home-grown haunts we have. That is why it’s so sad to learn that 2017 will be its final year. With over 4 million people in surrounding counties and less than 1/4 of 1% supporting this haunt. We would rather close than cut the quality. What started as two homemade backyard haunted houses eventually grew so large that complaints from neighbors forced The Shallow Grave into its own dedicated venue. Five years ago creators Joe Phillips and Chad Ashley brought their homegrown madness to a massive 30,000 square foot warehouse built in the 1950s in Winter Haven, and The Shallow Grave was born. 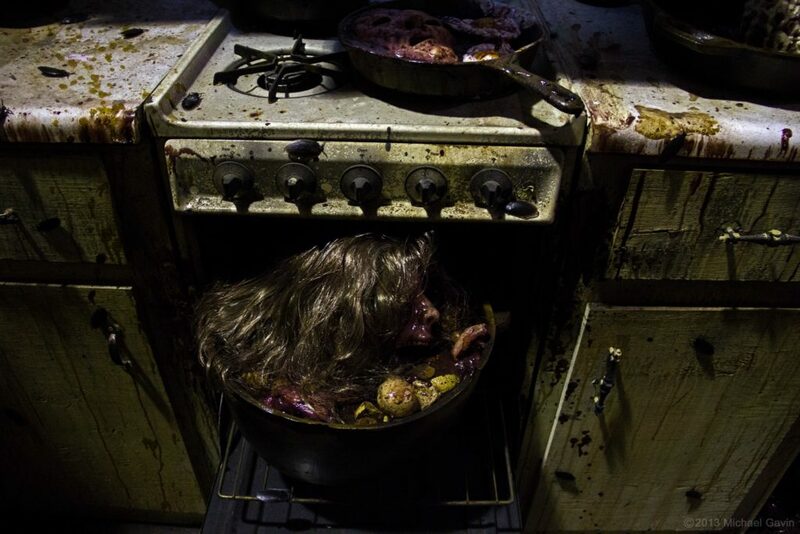 With a focus on grim realism the attraction utilizes more than 100 talented staff members to bring two frightening haunted house experiences to life: both under the same roof, and both included in one admission ticket. 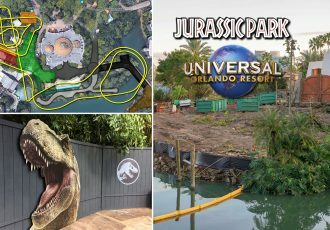 A mix of live actors, impressive special effects, homemade animatronics, large-scale animated props, and incredible set design come together to create a Halloween haunt unlike anything else in Central Florida. 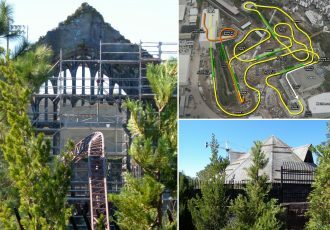 The entire attraction is more than a quarter mile long and can take longer than 6 regular haunted houses from some of the other area events to walk through. 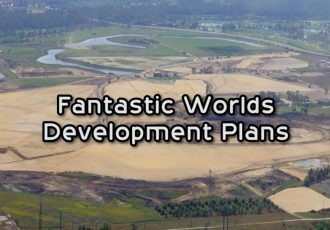 Check out the information for this year’s two houses below, including an all new haunt, and please considering supporting this local attraction just one last time. You will regret it if you miss the chance to experience something this truly incredible, and incredibly scary. Tickets and more event information can be found here. Also, a fan has started a petition to keep the event going that you can sign to show your support. 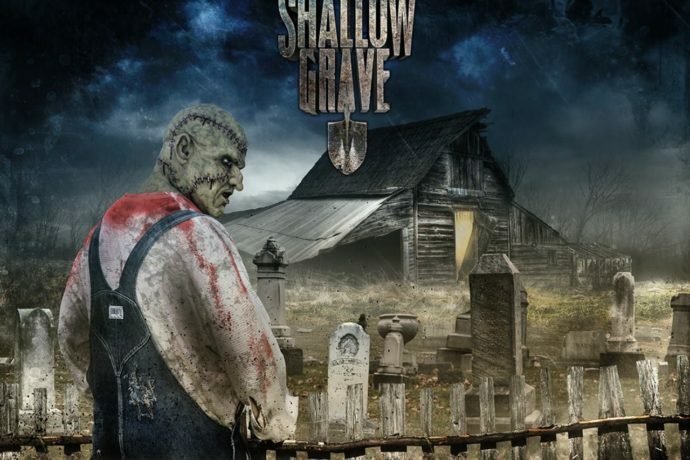 The Shallow Grave, one of the country’s Top Rated Haunted Houses invites you to experience a Haunted Attraction unlike any other in the state of Florida. 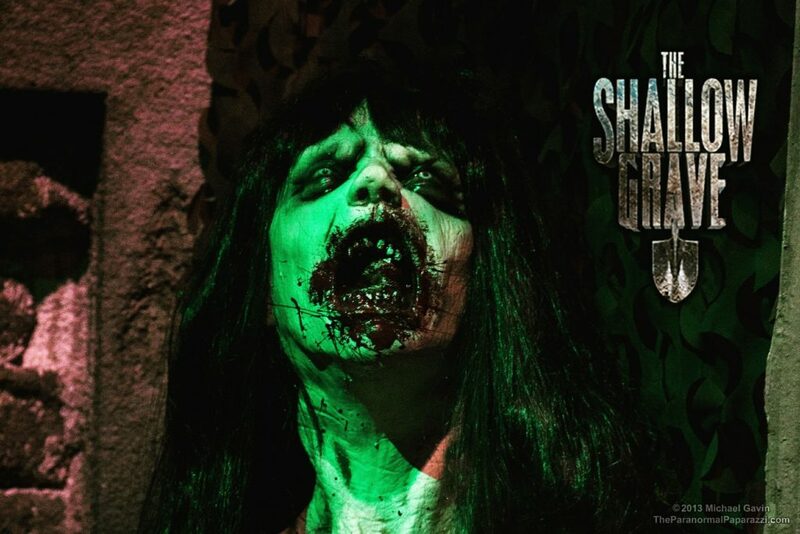 Now sitting at nearly 13,000 Square Feet of Terror, The Shallow Grave pushes you to your limits while hitting all of your senses forcing you to question whether this is real or not. 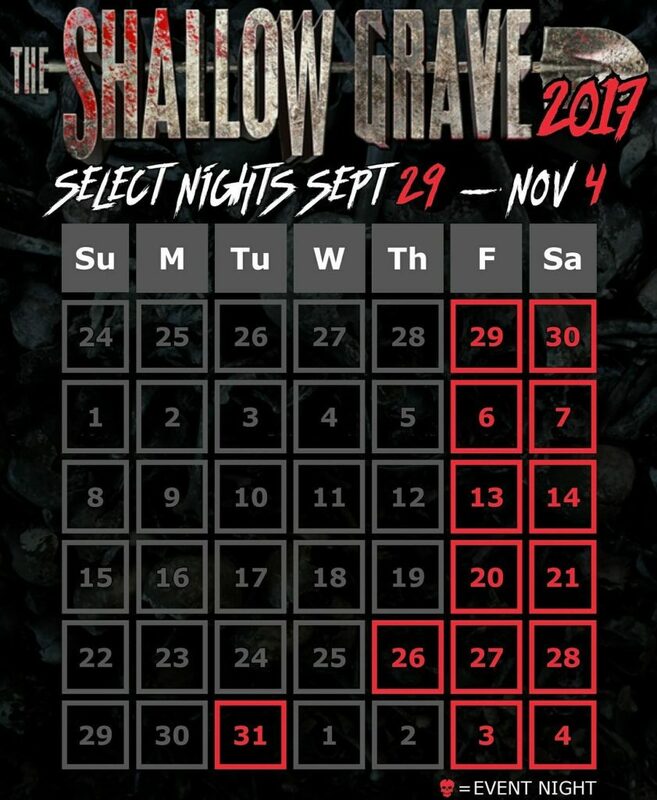 Once again for the 2017 season The Shallow Grave offers you two Large Haunted Houses for one price. Introducing for 2017 The Shallow Grave brings to you, “BETRAYAL”, navigate your way through hordes of the undead on the run down property of Thaddeus Van Buren as you find yourself in the middle of an uprising. A new Van Buren stalks these hidden corridors, he may be family, but he is looking to break more than bread at this reunion of sorts. Returning for 2017 is Pavor Nocturnus, a twisted spin on some phobias, and a ride into the deepest darkest parts of the subconscious, loaded with new characters, scares, and themes you experience heart racing and stomach turning sights and sounds that will haunt you long after you leave.